Rancho Motor Company is a proud to be your local Chevrolet Cadillac dealership. Third generation family owned and operated with two locations to service you. We offer new vehicle, certified pre-owned, and standard pre-owned for sale. 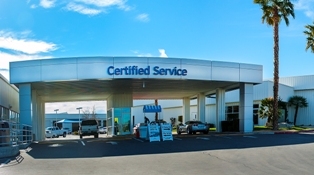 We offer a newly remodeled dealership with Service, Parts, and a Body Shop. We're your one-stop shop for all your automotive needs. Come see us today.